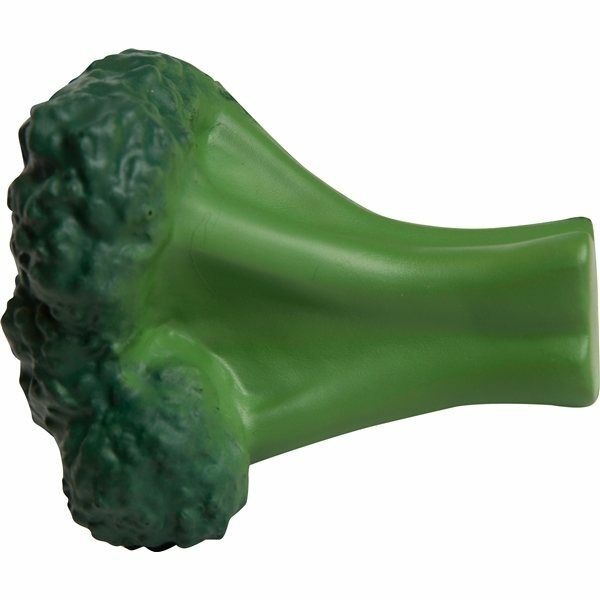 Broccoli shaped vegetable stress reliever helps relieve stress and help promote healthy eating habits! Support your customers and employees with the homegrown goodness of your logo and message! Great for grocery stores, farmers’ markets, and dieticians! Top quality and fair cost. Awesome product, great giveaway, they LOVED IT! I'm 100% satisfied and Veronica has been my account manager for the last few years and her's been efficient, fast, and a great professional. Thanks. For the price, I was expecting a smaller-sized item and in turn, it may be hard to read the smaller print but was so pleasantly surprised to see the large size and clear printing. there's nothing more I can ask for. Product came out to be as expected.